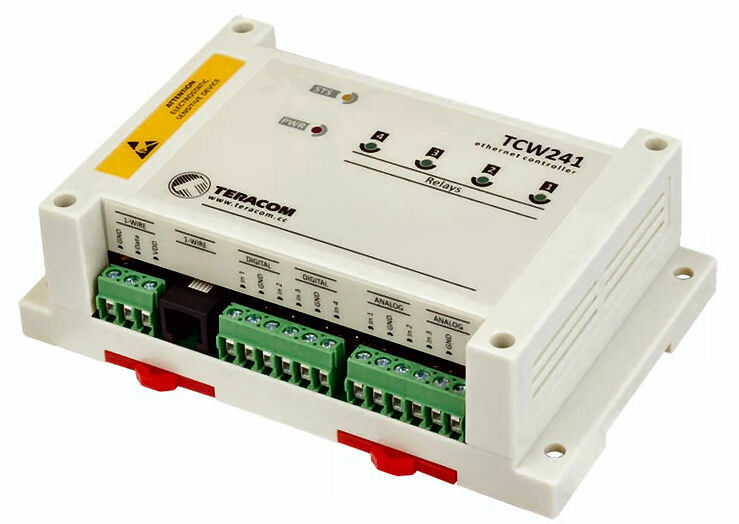 The TCW241 is an Ethernet IO module with Modbus TCP/IP support. 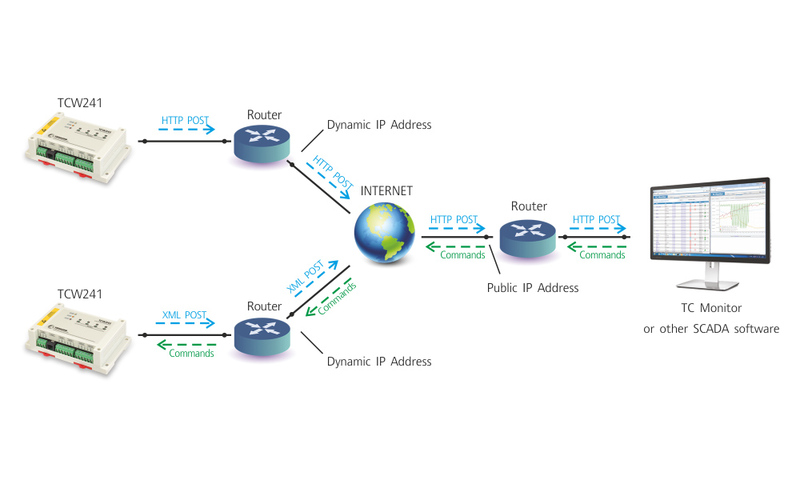 It is intended to use for general remote Ethernet IO monitoring and control. The device has four digital inputs, four analog inputs, and four relays. 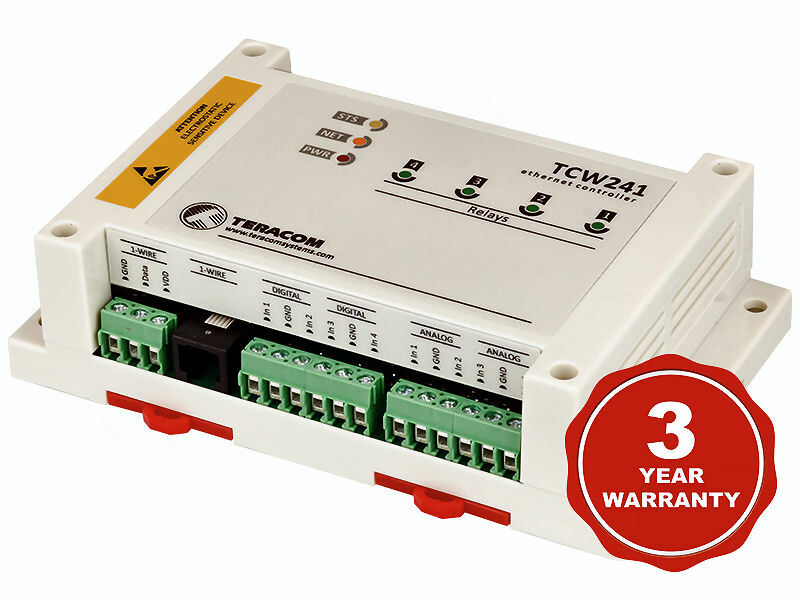 Its 1-Wire interface supports up to eight 1-Wire sensors for temperature, humidity, carbon dioxide, AC or DC current, etc. 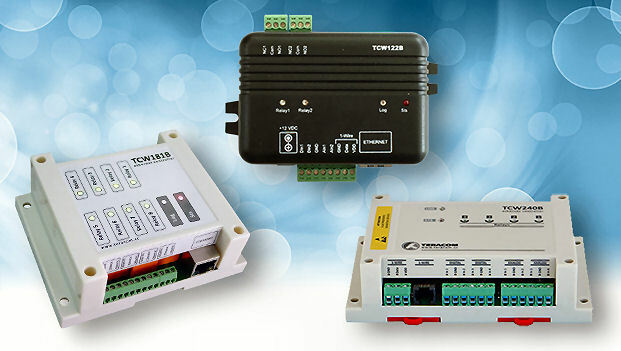 The relays of the Ethernet IO module can be activated either remotely or locally. 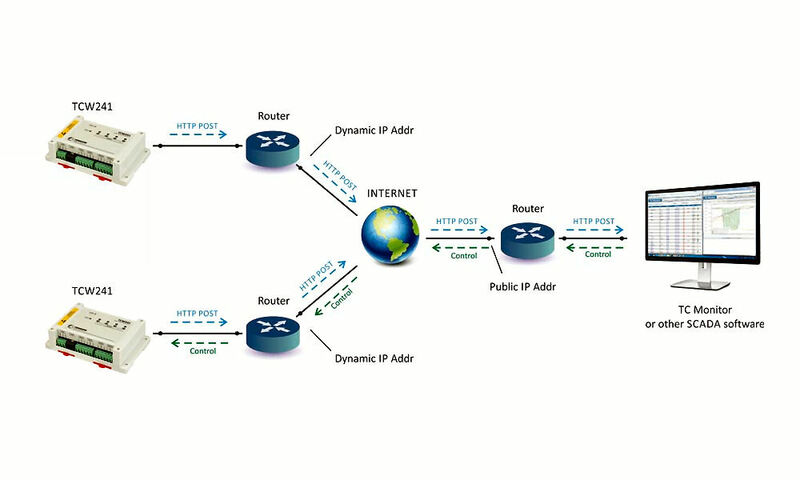 So-called remote activation includes friendly WEB interface or M2M protocols. Local activation can be from a schedule, the status of a single parameter, or by custom made functions. The function can include up to four parameters. 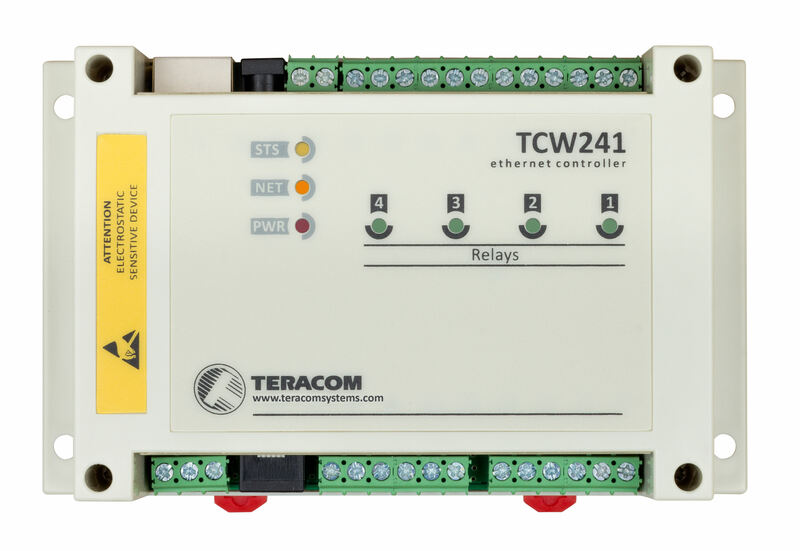 The TCW241 can initiate a connection (HTTP Post) to remote dedicated servers. The payload of this post is XML or JSON file. The files contain current values of monitoring parameters. HTTP post can be sent periodically or on previously set alarm conditions.